Jason Clemons has been a member of Pine Street’s Outreach team for 11 years, working with homeless men and women who choose not to come into shelter. 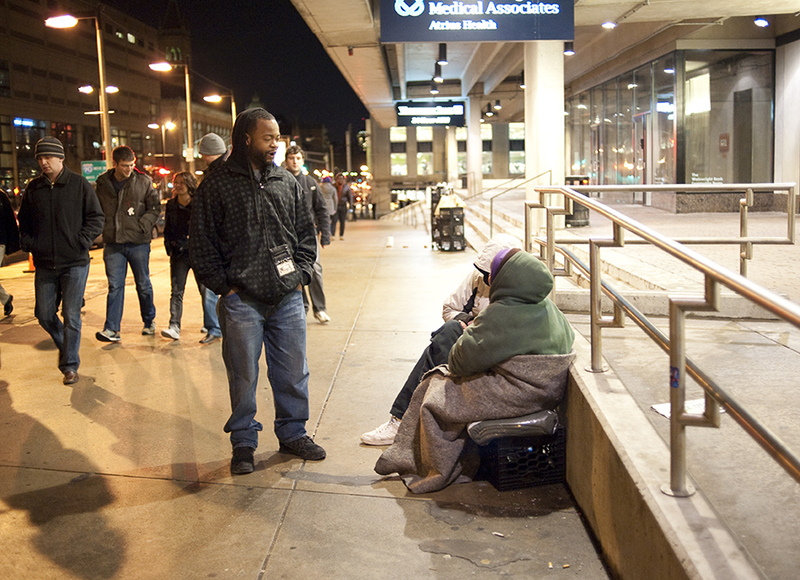 Since our Outreach vans started canvassing Boston’s streets in 1986, they have not missed a night! Even New England’s tough winter weather does not stop Jason and his team – on the contrary, they dedicate even more time and resources during the coldest months. Hypothermia and frostbite are just a few concerns that Jason has for the men and women staying on the streets during winter. Jason recalls one guest who refused to come into shelter for years. The team continued to build rapport with the man, until one night, when the weather was dangerously severe, he finally agreed to come inside. After that, he asked to hear more about housing opportunities. Within two months, he was housed.